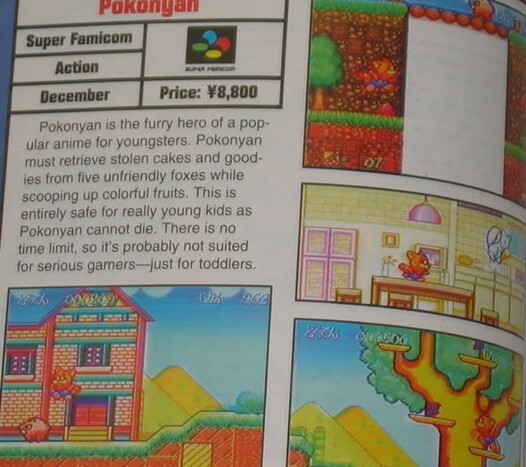 I remember seeing a preview of Poko Nyan! in EGM issue #66 (January 1995). I was instantly drawn in and wanted badly to play it. Unfortunately, like so many games EGM previewed in the “International Outlook” section, many never saw the light of day here in the states. Fast forward more than a decade and I’m on a Super Famicom buying spree. 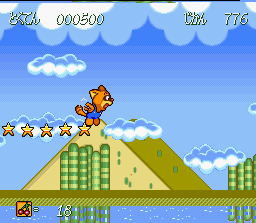 It took me a while to hunt down a copy, but I finally got my hands on a CIB Poko Nyan! October 11, 2006. I dropped 50 dollars on it but considering a complete copy sold for $150 not long before my purchase, I felt like $50 was a steal! 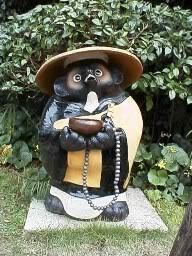 According to Japanese folklore, the tanuki possesses shape-shifting powers. They sure love this little creature… it serves as a good luck symbol to our friends from the far East. You can find them in shops and Japanese gardens, all sorts of places. 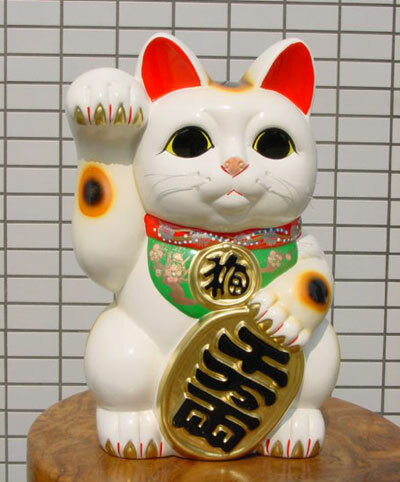 They’re almost as frequent as the Maneki Neko — the cat with the paw raised for good fortune. 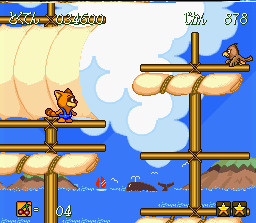 And here comes a game from the Land of the Rising Sun that will appeal to all tanuki lovers. EGM wasn’t kidding — how very easy this game is. You can’t die! The timer running out doesn’t end gameplay, nor does any amount of hits from the bad guys. 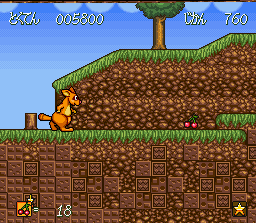 Being a popular anime for young children, this game was created with them in mind. A four-year-old could beat this! 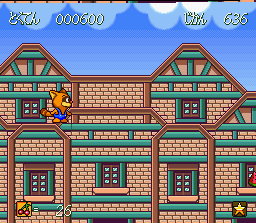 The game has 15 levels and can be finished in 40 minutes, even sooner if you rush straight for the exit. Even the enemies are cute! Not sounding good so far, eh? 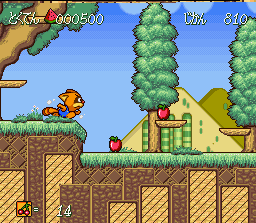 I mean, what kind of video game allows you to NOT ever die, especially a platformer? It’s simply unheard of! But wait — what’s this? The game’s a RIOT?! Yes, it is. Poko (I think that’s his name) is such a likable chap. 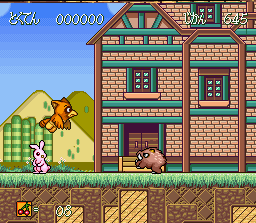 The various stages are beautiful, likewise for the set pieces and even the enemies themselves are cute. 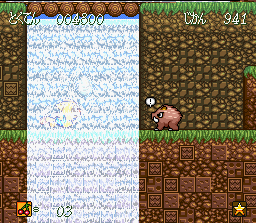 Just take one look at the wild boar who, before charging, has a silly exclamation mark bubble pop over his head. Awww. The set pieces are awesome not just because of how they look but also how they come into play. 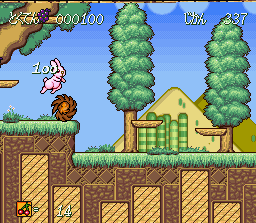 Some have several platforms Poko can hop on, or hop down from. 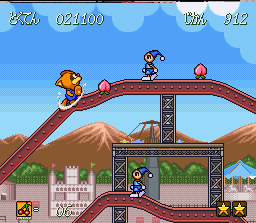 Down + jump makes Poko drop to the platform below. This becomes oddly fascinating as it’s fun to knock off baddies from above. May not sound all that great, but you’d be surprised at how much fun it is. These little things add a lot to the game’s charm. 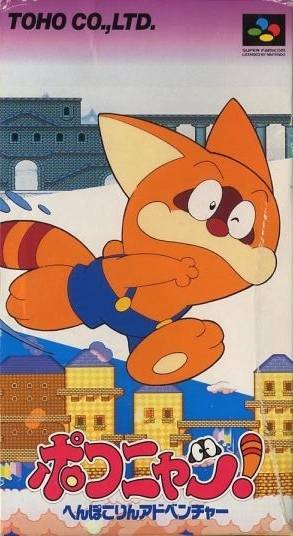 And staying true to Japanese folklore, this tanuki has plenty of shape-shifting powers! 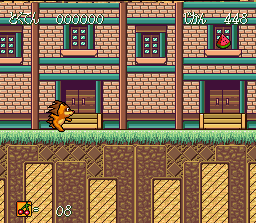 By the way, all forms can double jump, including Poko himself. 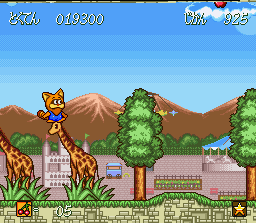 Poko can change into a high-jumping kangaroo. Or this bird with unlimited flight! 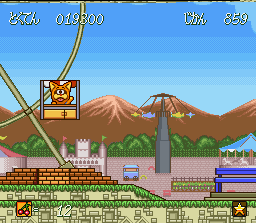 Wait a second… Poko the Hedgehog?! Come on now… what the hell. You can switch to any form at any time. There are no limits. You can switch back to Poko by pressing R again. You’re also switched back if hit by an enemy. The different transformations add a lot of flavor to the game. 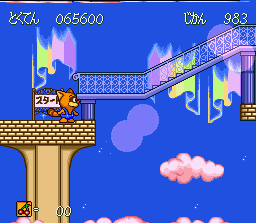 The 15 levels are spread over 5 different “worlds” each guarded by one of 5 nasty foxes. 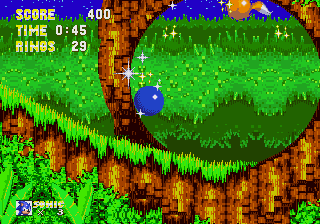 These boss battles, like the rest of the game, are a cinch. 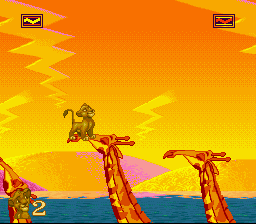 The later bosses have some cool powers, though. 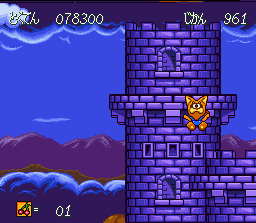 While the game is short, the key is to explore the levels rather than rushing to the exit. There is also a point score where bouncing off consecutive baddies allots major points, so at least there’s a point system. 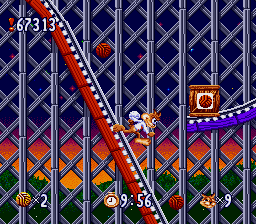 This groovy roller coaster multi-tier stage is one of my faves — it’s a lot of fun to mess around with. 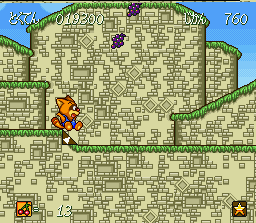 There are so many different levels to jump off and on… good stuff. Check out the whale in the background. The big puffy clouds are pretty cool, too. I love the art style of Poko Nyan! It’s simple yet gorgeous in its own neat way. 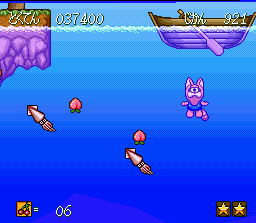 Cliche though it may be, it’s fun navigating Poko through the water and ice stages. The camera is a little bit herky jerky on sudden direction changes, but it’s still quite fun to play, in spite of that scrolling flaw. 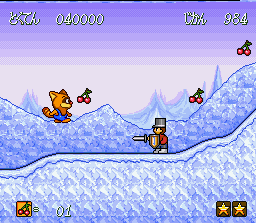 More Northern Lights in Super Famicom games! 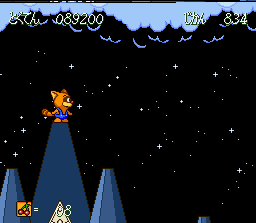 I’m not complaining though; I love starry nights and Northern Lights in my games. They’ll always have a special place in my heart because I can never get enough of those settings. Spooky stuff… ahh, such nostalgic childhood memories! 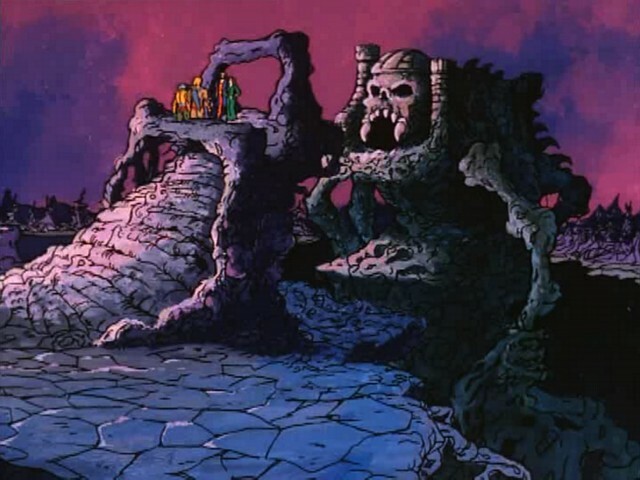 Seriously, how beautiful is that purple castle, folks? The game is a joy to look at, and is exactly the kind of stuff your little nephew or son will gravitate toward. The first star I see tonight! Ah, right on cue, another starry night setting. 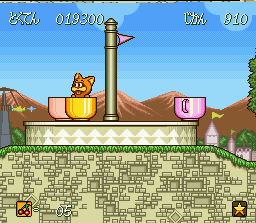 This is another one of my favorite levels. 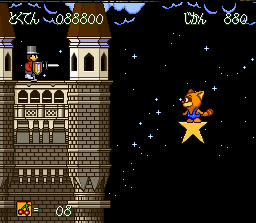 I love how Poko can hop on just about anything, including those star pieces. It’s all kind of… almost dreamy… game has a sweet atmosphere for sure.